We are a Traditional Barber Shop specializing in hair cuts for men and boys located in downtown Bend Oregon’s Box Factory. 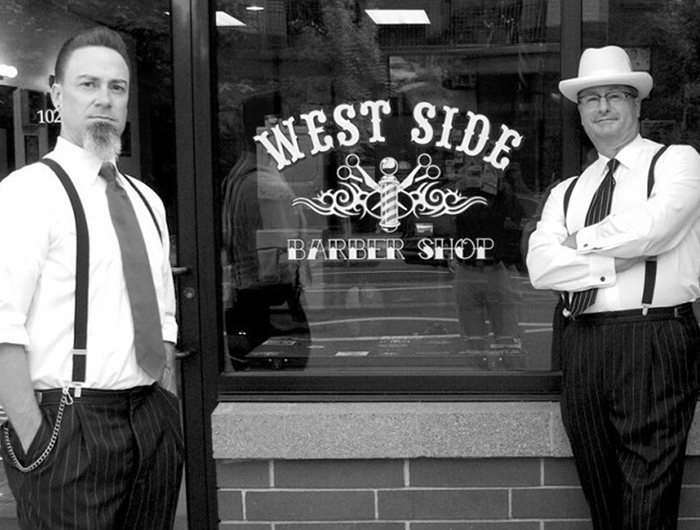 We offer haircuts and beard/mustache trims. Enjoy a complimentary beer on tap from Goodlife Brewing, Rebel energy drink, or a warm cup of coffee. Kids under 35lbs can get their haircut in a cool 1950’s hot rod car. You can watch T.V. on our 50″ flat screen. We have hair care products for sale which include Layrite, Crew, Krew Comb, Stephan’s, La.Leur and offer pocket combs, nail clippers and shaving products all at competitive prices.